Auto Wreckers Toronto – Get Top Cash Today! Auto Wreckers Toronto - Buying Your Wrecked & Old Vehicles for Cash! We have been purchasing old and wrecked vehicles, including used vans, trucks, SUV's and scrap cars that are unwanted from residents of Toronto and the Greater Toronto Area for over a decade. Our close relationships within the used automobile industry allows us to pay you the most money for your old and wrecked cars. You can rest assured that we will pay you more money for your old wrecked vehicle than any other auto wrecker in Toronto or the greater Toronto area. Call Auto Wreckers Toronto today to get a free scrap car removal quote instantly 647-977-8283. How Much Cash Will I Get for My Scrap Vehicle? 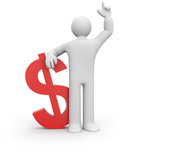 We pay from $100 - $2000 for your scrap vehicle! Auto wreckers Toronto guarantees to pay you the most cash for your wrecked and unwanted vehicle in Toronto. We offer a free, no obligation quote online or over the phone. Call us now for an instant price quote or fill out our online quote. We scrap pickup trucks, scrap vans, SUV's and other scrap metal in the most efficient and environmentally safe way possible. We take the extra steps to remove all fluids and hazardous materials from vehicles in an effort to minimize the environmental footprint left behind by wrecking old vehicles. Did you know that about 95% of a vehicle can be recycled or reused. About 70% of a typical vehicle being scrapped turns into green parts that can be reused while 25% can be recycled. Only 5% of the typical vehicle is not reusable and ends up in the garbage. We make this process happen in an environmentally friendly way. Engine oils, antifreeze, Freon, gasoline, various lubricants, and other gasses are extracted from old vehicles in an environmentally friendly way. Vehicles also contain mercury in various auto parts and we make sure to remove these environmentally hazardous materials and dispose them in an eco-friendly way. When you choose Auto Wreckers Toronto to scrap your old or unwanted vehicle for top dollar, you also help keep dangerous toxins and emissions from leaking into the Canadian land and water. you can also rest assured that we will recycle and reuse all old car parts that we extract from the cars we buy. There is no need for you to take your car to the scrap yard, Auto Wreckers Toronto will tow your old, wrecked vehicle for FREE! Call us now for a free quote!